Please contact us for any other requirements. 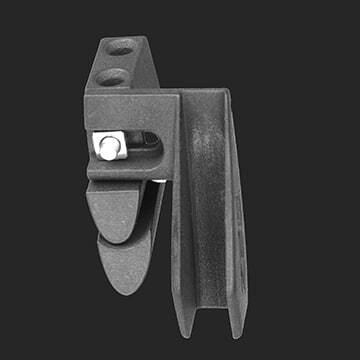 With the increasing popularity of single rings on time trial bikes we felt the need to develop this new aero chain catcher. The narrow/wide ring significantly reduces the risk of dropping the chain. However, on bumpy roads there is still a chance that the chain can come off. The chain catcher runs with a small gap between the inside of the guide and the chain to deflect a jumping chain and send it back on the chainring rather than falling off and landing in the gap between your frame and chainset. 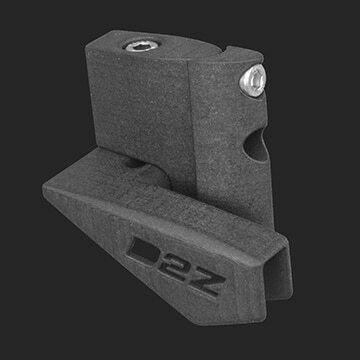 This product is 3D printed in the UK and weighs in at just 27 grams. 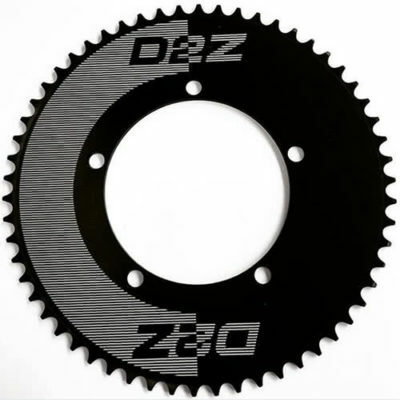 The catcher has multiple plains of adjustment to allow it to be used with any round chainring from 51 – 62 teeth as well as side to side adjustment to ensure perfect alignment with the chain and chainring. Fitting and set up is fairly simple with just a single bolt used to attach to the frame through the front mech bracket and then another single bolt for sideways adjustment. 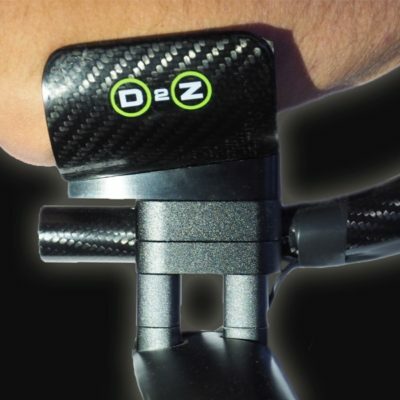 The design incorporates a deep section mounting boss and cap that helps to reduce the aerodynamic drag around the exposed FD hanger, that actually makes the overall drag of the component neutral. An aero profiled support crosses from the boss to the chainring guides, thus minimizing frontal area and flow separation in the exposed region between the frame and chainring. The lateral position of the chainring guides is adjusted on a slide mechanism, thus enabling the width between the outer and inner to be reduced in order to provide a better control of the chain and to minimize drag. *** Please note that a single speed chain such as the SRAM X1 is also strongly advised when using a single ring. *** This chaincatcher is designed only for round rings, whilst it can be used with oval rings it will not be as effective.